Ask the uninitiated about the first thing that amazes them about MotoGP™, and quite often it’s not always the speed – even though the riders are topping 350km/h or 217mph. More often than not it’s the incredible lean angles the riders reach as they hang off the side of their bikes to get them through the corners as fast as possible. 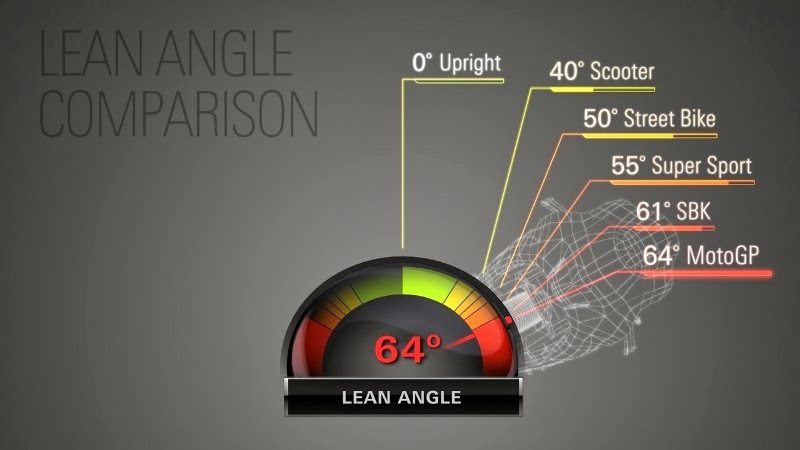 With the vast improvement in tyre technology from Bridgestone over recent years, which has often focussed on improving the ‘edge grip’ of the rubber on the shoulder of the tyres, riders are now getting their machines cranked over to 64º from vertical – a stunning feat when you compare it to the cornering abilities of other motorcycles. 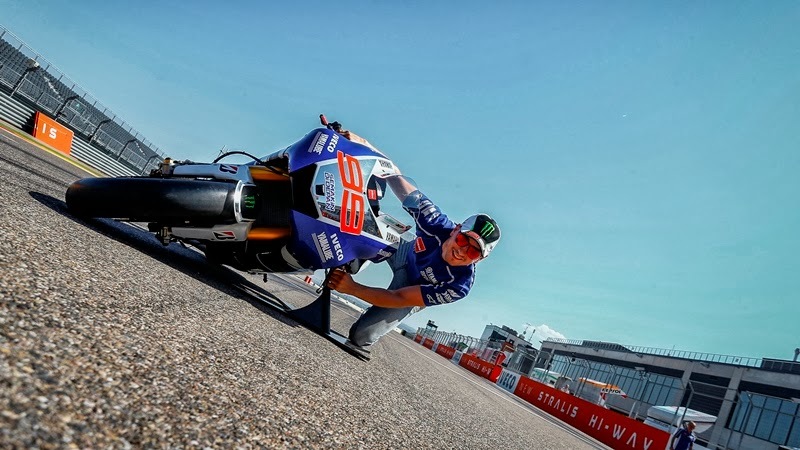 On the eve of the Gran Premio Iveco de Aragon, reigning World Champion Jorge Lorenzo’s Yamaha YZR-M1 was on display on the MotorLand Aragon main straight with a special stand to reproduce the maximum leaning angle reached in MotoGP™. During the live coverage of this week’s Grand Prix, two brand new graphics will be introduced in the International Program Feed to highlight both how the riders make the most of the edge grip to reach maximum lean angle and to directly compare riding styles of two riders.